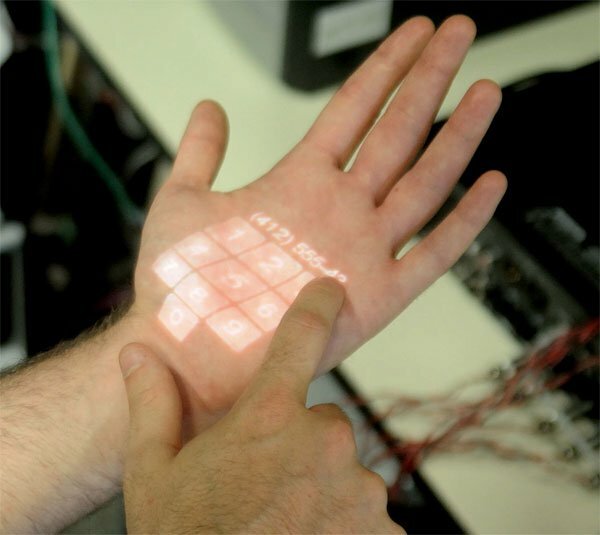 Skinput is a new futuristic interface currently being developed by Microsoft and Carnegie Mellon University. The system is the combination of two technologies, the ability to detect ultralow-frequency sound, and a microchip-sized projector. This amazing interface can recognise which parts of the body has been tapped using the sounds that is created by the sin, bone and skeleton. The Skinput technology uses a band which is strapped on to the arm. The armband contains piezoelectric cantilevers, or sensors that measure pressure, acceleration and force. 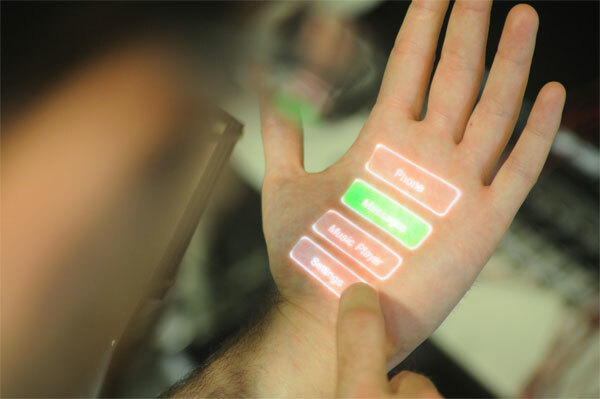 The actual interface is beamed onto the skin using a pico projector similar to those found in mobile phones. The applications for such technology are endless but major ones include gaming systems, phones or PC controllers.